NevHouse takes the waste that we throw away and turns it into rapidly deployable shelter. Our homes, school classrooms, medical clinics and other structures are made from recycled materials. These places of sanctuary can be built in just 5 days and are functional either on or off the power grid. Each structure comes with solutions for light, clean water and sanitation. We build structures faster than the conventional 'bricks and mortar' approach on a wide range of terrain. NevHouse makes a clean sweep at the Australian Good Design Awards. NevHouse is delighted to announce that it took out the top honours for both sustainability and architecture categories at the annual Australian Good Design awards ceremony. NevHouse awarded entrepreneur of the year by the Duke of York. 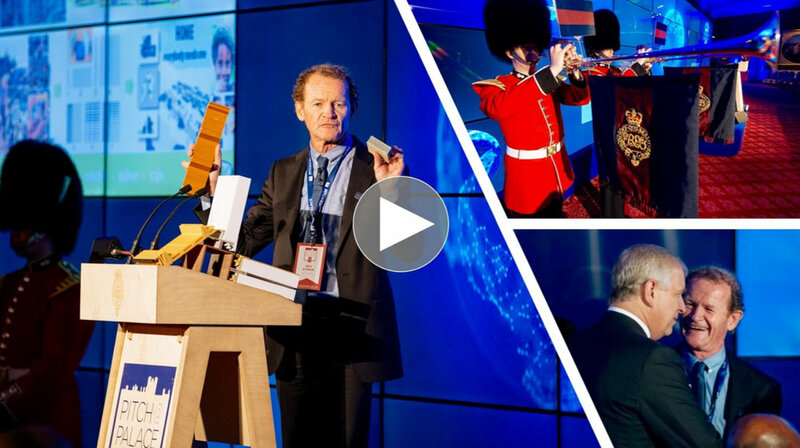 NevHouse is proud to announce it has been awarded the highest honour from over 25,000 enterprises worldwide at the Duke of York's annual Pitch@Palace Global event. 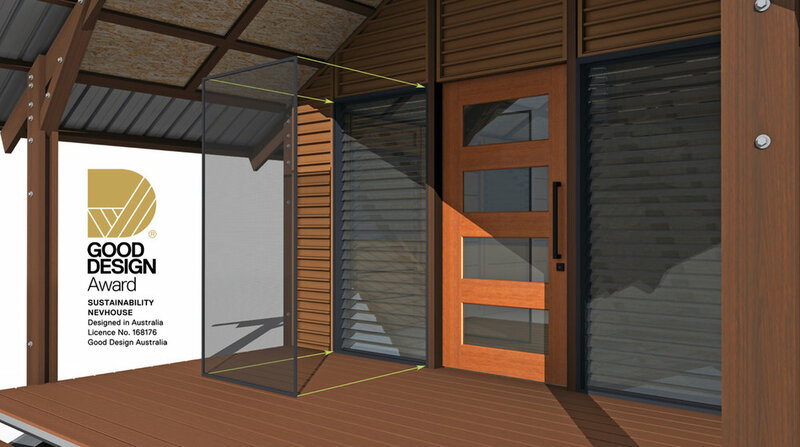 Creating flat-pack, cyclone-proof housing for vulnerable nations. In a report by the Australian Broadcasting Corporation's Mark Solomon, the rich history of NevHouse is uncovered and plans to deliver homes, clinics and schools to the cyclone ravaged nation of Vanuatu are unveiled. Watch the 730 report to see the whole story including interviews with lead Architect Ken McBryde, Founder Nev Hyman and Senior Policy Advisor to the Vanuatu Government Mr. Paul Nalau. Finally, a place where international aid money can be effectively deployed. Channel 9’s Emma O’Rourke reports on an initiative by NevHouse to deliver hope and homes to people on remote Tanna Island, in Vanuatu. In an interview, the Australian Foreign Affairs Minister Julie Bishop stated “the people of Vanuatu have been through a very devastating experience”. Founder Nev Hyman explains how NevHouse is taking plastic out of the environment and using it to create panels for the homes. The EcoStudio is available now. The team at NevHouse are proud to design a product for the discerning buyer who wants only the best sustainable solution. It comes with all the environmental benefits that you would expect from any NevHouse solution.